As, I wrote here before. I love to bake, but I'm not good at it as much as I would love to be. 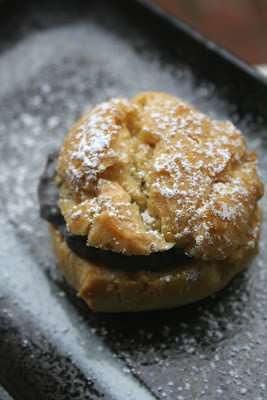 However, making cream puffs might be the best baking dessert I can manage within my baking skills. 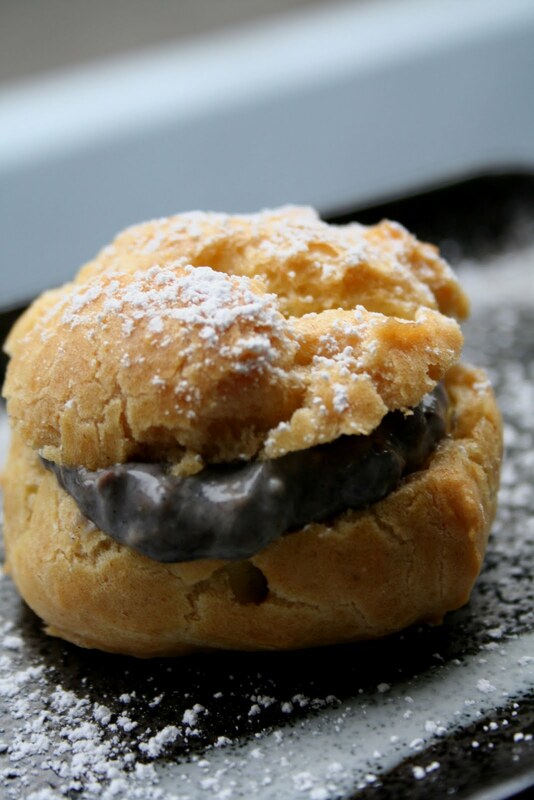 I love cream puffs, and the great thing is my husband likes to eat those cream puffs I make. I usually put a custard cream inside, but last time I mixed with red bean paste (あんこ/餡子) and custard cream together and put in the puffs. I mixed 1:1 ratio, and the consistency was almost the same, so it was easy to blend together, too. Sophisticated French dessert turned into a Japanese dessert; "WA-SWEETS".